Few architects have left their imprint on a city as did William Pitt on Melbourne. His most prolific years coincided with Melbourne’s boom period at the end of the ninetee ‘Marvellous Melbourne’. It was also reflected in the national feeling that inspired the Federation movement. His architectural contribution to St Kilda – the St Kilda Town Hall – still stands on Brighton Road despite a fire several years ago. He attended Hofwyl School in St Kilda after his arrival in Melbourne with his parents in 1853. In 1889 he married Elizabeth Mary Liddy and according to family descendants, the couple lost a child due to infection after a nurse accidentally pricked the child with a pin while changing a nappy. Pitt himself was a staunch Federationist in a political career that spanned twenty years. He was an active member of the Australian Natives Association that campaigned vigorously and successfully for Federation at a grass roots level. No organization did as much to hasten Federation as the ANA formed in 1871 for white Australian-born men. It flourished across eastern Australia promoting debates on issues such as immigration, defence, and votes for women to packed halls. 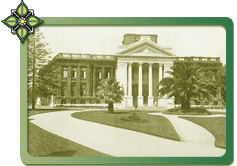 Conferences hosted by the ANA in 1890 at Melbourne, 1893 in Corowa and 1898 in Bendigo fostered the Federation debate and resurrected support at critical times. Many constitutional delegates were ANA members who were then elected to the first federal parliament (such as George Turner, Alfred Deakin and Isaac Isaacs). Many of Pitt’s buildings were, and still are, icons of Melbourne. They include office buildings such as the Rialto (1890), the Olderfleet (1890) and the Melbourne Stock Exchange (1899). He built St Peters parsonage, Queens Bridge, Gordon House, the Federal Coffee Palace. He was in great demand as a theatre architect: the Tivoli, her Majesty’s, the Bijou, the Royal and Kings Theatre. His crowning achievement, the Princess Theatre had the world’s first sliding roof and ceiling a century before the Melbourne Tennis Centre and Colonial Stadium. Other works included Markillies and Waterside Hotels, the Brunswick Town Hall, grandstands for the Victoria Racing Club and the Melbourne Cricket Club. He designed the Grand Opera House in New Zealand, an opera house for Sydney, the Theatre Royal in Adelaide and a host of other buildings. The economic boom of the 1880s ended in a spectacular crash that ironically encouraged Pitt to greater efforts as he sought to discharge his debts. His political career included a stint as Mayor of Collingwood and member of the Legislative Council for North Yarra 1891-1904 and for East Melbourne 1904-1910. He was also an honorary minister in successive Victorian ministries 1902-1908 and Chairman of the Melbourne Harbour Trust for four years. His home was at 5 Trenery Crescent, Abbotsford. His career as speculator was less successful. He fitted out a gold expedition to the Kimberleys after gold was discovered there in 1885 and reputedly purchased two million acres near Cambridge Gulf but crashed in the financial crisis of the 1890s. 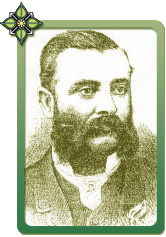 As a keen sportsman and Collingwood supporter he built the first grandstand at Victoria Park free of charge in 1892 and was Victoria’s leading course judge for a period and an excellent marksman.